When Is Drug Addiction Therapy Necessary? Drug and alcohol abuse can take a heavy toll on every aspect of your life. It can cause strain in relationships and can impact your health. However, with the right addiction recovery therapy program, it is possible to lead a healthy life. Drug and alcohol recovery therapists help you understand why you or your loved one may have begun to use drugs and/or alcohol. Without addressing what may have led to the initial addiction, you are vulnerable to relapse once you leave a treatment program. Using approaches such as cognitive behavioral therapy (CBT), therapists will not necessarily dig into your past (e.g., childhood experiences), but will focus on what is causing and maintaining your addiction in the here and now. Therapists can help you understand what’s causing and maintaining your addiction. 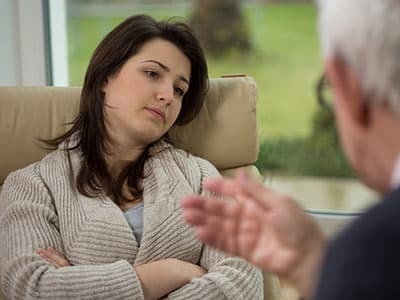 Therapists can also help you work through any unresolved emotional problems that may be leading you to use drugs and alcohol, such as past trauma, abuse or grief. Unhealthy family dynamics could be addressed in addiction therapy as well. Many people who use drugs and alcohol may also have co-occurring mental health disorders such as bipolar disorder, depression and/or anxiety. A psychotherapist can help you identify, understand and manage these conditions. In some cases, a doctor may recommend medications, such antidepressants, as part of treatment. When a therapeutic approach is customized to your unique situation while also addressing co-occurring social, psychiatric and medical problems, the result can be a sustained recovery and productive life free from substance abuse. Therapy is often introduced in an inpatient or outpatient substance abuse treatment program. Often, therapy cannot begin until after detox and a short period of abstinence from drugs and/or alcohol. Therapy can also continue long after the initial treatment episode ends. Self-awareness – Developing self-esteem, receiving positive regard and experiencing focused attention may initially feel uncomfortable but will become a positive motivator to remain abstinent. Stress management – Learning that everyone experiences stress and understanding how to manage it without resorting to substance use is important. You can learn healthy ways to do this during therapy. Developing communication skills – During a therapeutic relationship, you are heard, validated and encouraged to be honest and identify feelings. This will enable you to begin a process of healthy communication. Addressing trauma – Any level of undiagnosed trauma can fuel an addiction and cause relapse. Addressing trauma with a skilled therapist is key. Identifying possible underlying issues – A therapist can help you uncover any depression, anxiety, co-addictions (gambling and codependency), family dysfunction, health problems and anything else that has been pushed aside during active use. Overcoming shame about substance use – During active addiction, people often say and do things that they later regret. Talking about these issues can relieve discomfort and help you realize that you are not a bad person – you are a person suffering from a substance use disorder. Repairing damaged relationships – Personal relationships are often strained by the time someone enters treatment. Rebuilding trust, with others and in yourself, takes time. A good therapist can assist in this process and act as a mediator with significant others if necessary. A licensed clinical social worker (LCSW). A licensed professional counselor (LPC). Other people who may help with substance use counseling are recovery coaches, peer counselors, substance abuse counselors and other certified but non-licensed professionals. In early recovery, a licensed therapist is a good person to work with when you are experiencing psychological stress or dealing with trauma-related issues or co-occurring disorders. It is difficult to benefit from therapy when you are under the influence. Many people report lying to their therapist about drug or alcohol use. A good therapist may not work with you during active addiction. During and after treatment, a therapeutic process can begin with the absence of distortions caused by substance use. Typical individual sessions last for about 50 minutes and often begin with identifying problems you’d like to address and goals you may have, as well as methods and interventions that can assist in this process. You may develop a formal treatment plan and decide how often to meet. This arrangement can be revisited as therapy progresses. These meetings are usually held in a private office. What you share in your therapy sessions is confidential, and you have a right to feel safe with your therapist. Group therapy is offered in inpatient, residential and outpatient settings. Group size varies, but groups are usually small with around 8-12 members. There should be a skilled facilitator, a set time to meet and an evaluation before group therapy begins. Cognitive behavioral therapy, or CBT, is sometimes offered in group settings and is frequently provided by individual therapists. CBT focuses on a person’s feelings, behaviors and thoughts. A therapist will help you identify beliefs about yourself and the world that may be unhealthy and help you challenge these beliefs. Who Answers? today to speak to a treatment support specialist about addiction recovery therapy programs near you. Admitting that you or a loved one may need addiction recovery therapy can be difficult. Many people suffering from drug or alcohol addiction often think they can overcome their addictions alone. In reality, drug addiction can be quite complex. While you or your loved one may very well have a strong desire to quit, successfully recovering from a drug or alcohol addiction requires professional help. Even the most strong-willed person may find it difficult to conquer addiction without the help of an addiction recovery program. This is because drugs and alcohol actually alter the way the brain functions. Chemicals contained in drugs and alcohol create changes in the brain that actually foster substance abuse on a compulsive level. As a result of scientific advances, drug and alcohol recovery therapists now understand far more about the way substances work in the brain. This insight has made it possible to successfully treat drug and alcohol addiction, so people are able to once again lead productive lives. If you have noticed any of the above symptoms in yourself, a family member or a friend, it may be time to seek professional addiction therapy. Obtaining professional help is essential to drug and alcohol abuse recovery. First, you need to go through the intake process. You will complete forms and provide information to the assessment staff, so that they can customize an addiction recovery support program that meets your needs. Next, you will attend detoxification, if necessary. The length of time required for detoxification will vary based on a number of factors, including the severity of your addiction. The goal of detox is to eliminate alcohol or drugs from the body. Fully trained medical staff will monitor you to ensure your safety. Only when those toxins have been purged from your system will you be ready to move on to the next phase of addiction therapy. Once you or your loved one has left the program, you can continue attending therapy sessions on an outpatient basis. This can help to reduce the chances of relapse. In fact, a study conducted by the National Institute on Drug Abuse found that such programs can increase the chances that people will abstain from drug or alcohol use. The effects of drug and alcohol abuse on your life and the life of your family and friends can be significant. It is possible to counter those powerful effects with a comprehensive addiction recovery therapy program. Regardless of how long you or a loved one have suffered from addiction or how severe the addiction may be, help is available. Contact our addiction recovery helpline today at 1-888-319-2606 Who Answers? to get the help you deserve and begin the path to a happier, sober life today. No matter what your situation may be at the moment, it is never too late to get the help you need. Addiction recovery therapy can provide you with the tools you need to get clean and sober and learn how to maintain your recovery in the future.
. Center for Substance Abuse Treatment. Enhancing Motivation for Change in Substance Abuse Treatment. Rockville (MD): Substance Abuse and Mental Health Services Administration (US); 1999. (Treatment Improvement Protocol (TIP) Series, No. 35.) Chapter 3 – Motivational Interviewing as a Counseling Style.
. Center for Substance Abuse Treatment. Substance Abuse Treatment and Family Therapy. Rockville (MD): Substance Abuse and Mental Health Services Administration (US); 2004. (Treatment Improvement Protocol (TIP) Series, No. 39.) Chapter 1 Substance Abuse Treatment and Family Therapy.
. National Alliance on Mental Illness. (2013). Dialectical Behavior Therapy Fact Sheet.
. Aletraris, Lydia et al. “The Use of Art and Music Therapy in Substance Abuse Treatment Programs. Journal of addictions nursing 25.4 (2014): 190-196.PMC. Web. 18 Feb. 2016.
. Khanna, Surbhi, and Jeffrey M. Greeson. “A Narrative Review of Yoga and Mindfulness as Complementary Therapies for Addiction. Complementary therapies in medicine 21.3 (2013): 244-252. PMC. Web. 18 Feb. 2016.